Vertex Ventures, the venture capital arm of Singapore state investment firm Temasek Holdings, has appointed Ben Mathias as managing director and head of India operations, according to a press release. Mathias takes over from Ajay Lakhotia, who quit Vertex last month to float his own venture. 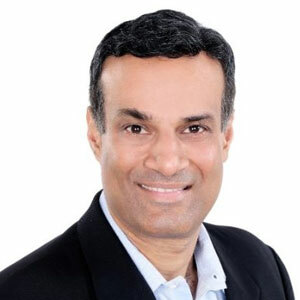 Under Lakhotia's leadership, Vertex invested in startups such as online kids products retailer FirstCry, online travel agency Yatra and refurbished goods retailer GreenDust. Mathias was most recently a partner at global VC firm New Enterprise Associates in India. He has more than two decades of experience in management and venture capital investment. In his new role, Mathias will manage Vertex India's portfolio and will continue the firm’s strategy of investing in companies in digital consumer, enterprise software and healthcare, the statement said. He will work out of the Vertex office in Bangalore. Mathias, an alumnus of IIT Madras and Dartmouth College, US, said his main focus remains on India for now, though he will be part of the Vertex team covering India, Southeast Asia and Taiwan. “Through its global footprint which includes the US, Israel and China, Vertex is in a unique position to help Indian companies in their global expansion and look for partners in these regions,” he said. Technology-focused Vertex Ventures typically invests in Series-A rounds in startups based primarily in Singapore, Indonesia, Taiwan and India.